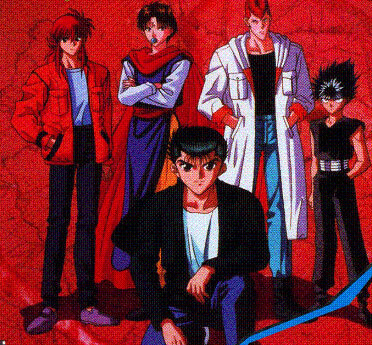 Yusuke Urameshi is a bad boy. He is still only a junior high school student, But some parts of him seem to be pure because, one day, he dies in an accident trying to protect a child. He himself goes to the afterworld, but his name is not listed on the book of Enma who is the master of Hell. This means that it is all a mistake. So he should return to the world, but he has to pass the trials to return to the world. The trail is to become a detective of the spiritual world, and to arrest the criminal of the spiritual world. Also he needs to save the floating spirits. One time he returns to the world, but when he fails once, he will never revive. In infinite numbers of spirits float in the world. Along the way, he meets the three friends that he can fight together. This animated cartoon is based on the story published serially on the most popular Japanese comic magazine for boys.